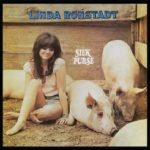 Originally released in 1969, this debut outlined the wide musical grasp and irreverent sensibility that would grow the band’s legend over the next 49 years. 49 years in which this initial explosion of creativity sat in the vault unreissued. 49 years in which either the group’s continuing activity diverted their attention from a reissue, or in which lawyers intermittently haggled over muddy contractual rights. Either way, Omnivore has finally liberated the album from its resting place and reissued the fourteen songs in a tri-fold slipcase with original front and back cover art, Donn Adams period liner notes, and contemporary notes by Jay Berman. Berman characterizes the band’s repertoire, even at this early point in their career, as including “nearly anything,” and the eclectic mix of covers and originals bears that out. This first studio lineup included long-time members Terry Adams and Joey Spampinato (the latter then credited as Jody St. Nicholas), along with vocalist Frank Gadler, guitarist Steve Ferguson and drummer Tom Staley. The group stakes out the audacious corners of their musical omniverance with covers of Eddie Cochran’s rockabilly “C’mon Everybody,” Sun Ra’s avant garde jazz “Rocket Number 9,” Sonny Terry and Brownie McGhee’s folk blues “C’mon If You’re Comin’” (which the group revisited on 1972’s Workshop), and a country soul arrangement of Bruce Channel’s 1962 chart topper, “Hey! Baby.” Few bands at the time would have even known this range of material, let alone find a way to make it fit together on an album. The original material from Adams, Spaminato and Ferguson is equally ambitious. Adams mashes up trad jazz and rock ‘n’ roll for “Kentucky Slop,” boogies hard on “Mama Get Down Those Rock And Roll Shoes,” captures the melancholy of Carla Bley’s 1964 jazz instrumental “Ida Lupino” with original lyrics, and closes the album with the piano-led “Stay With Me.” Ferguson’s trio of originals include the pop and soul influences of “I Didn’t Know Myself,” the gospel rocker “Stomp” and the country, folk and gospel flavored “Fergie’s Prayer.” Spampinato offers the album’s most ebullient moment with “You Can’t Hide,” a title the band would revisit ten years later on Tiddlywinks. Alex Chilton had an on-again-off-again relationship with accessibility. His earliest hits with the Box Tops, and his initial work with Big Star were tightly produced and memorably tuneful records that were easy on the ears. But his third album with Big Star and several of his solo releases seemed to be deliberately challenging. 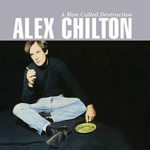 While some fans are enervated by the search for charm among the controlled chaos, others would favor the label “masterpiece” over “hot mess.” By the time of 1987’s High Priest, Chilton had begun to lean heavily on an eccentric catalog of R&B and pop covers, culminating in 1993’s solo acoustic all-covers album, Cliches. 1995’s A Man Called Destruction picks up the idiosyncratic song selection and adds a band performance to a mix that feels less ironic than the crooning that came before. Many years before guitar-and-drums duos became a template, Chapel Hill’s Flat Duo Jets cut a fresh figure on the college radio scene. Formed in the mid-80s by guitarist/vocalist Dexter Romweber and drummer Chris “Crow” Smith, they added bassist Tony Mayer for their full-length, self-titled debut. Paired here with the earlier cassette-only release (In Stereo) and a second disc of session outtakes, the package revels in the basics of live-to-tape, rockabilly-inflected rock ‘n’ roll. 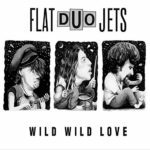 But even that is shorthand; Flat Duo Jets was hardly a rockabilly band, as their influences included classic rock instrumental combos like the Shadows and Ventures, surf bands, contemporaries like the Cramps, Shadowy Men on a Shadowy Planet and Los Straightjackets, and in their cover of “Sing, Sing, Sing,” big bands. And all of this was channeled through the rebelliousness and spontaneity of first-generation rock ‘n’ rollers like Jerry Lee Lewis and Gene Vincent. Although vinyl LP sales hit a 28-year high in 2016, tallying $416 million in sales. CD sales, while still much larger, decayed as digital downloads, and then streaming, displaced physical media. Vinyl has spread from independent record stores to major retailers, from independent labels to the majors, and from reissues to new releases. Even novelty picture discs are making a comeback. And whether this is a transitory hipster fad, or a long-lasting inroad into the psyches of digital natives, it provides an interesting intersection between format and material, providing a medium for reanimating not just the music, but the experience of catalog material. Varese Sarabande, an independent label whose work is split between film scores and pop music reissues, has spanned the LP, CD, MP3 and streaming eras. Tracing its lineage back to the early ‘70s classical label Varese International and a late-70s merger with the Sarabande label, the combined Varese Sarabande, in addition to releasing modern film soundtracks, sources reissue material from a number of catalogs, and is distributed by the Universal Music Group. Each of these recent album reissues is pressed on 180 gram vinyl, with the original, full-size front- and back-cover art, and in a couple of cases, bonus tracks. Varese’s vinyl reissue of their 2001 CD compilation is unusual, in that it was originally released on CD, making this vinyl reissue really a first pressing. That said, the eighteen tracks provide an excellent introduction to one of the Bakersfield Sound’s primary architects. 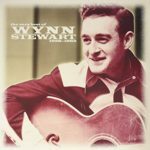 Alongside Buck Owens and Merle Haggard, Stewart shares credit for creating the west coast country sound. 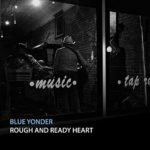 Harder hitting than then-contemporary Nashville, and with some sting from electric guitars, Bakersfield planted the seeds for later country-rock marriages and any number of alt.country roots revivals. Stewart’s sound, especially his singing, had a drama that neither Owens or Haggard matched. From his earliest rockabilly work (represented here by 1958’s “Come On”) to fiddle-and-harmony driven weepers (“How the Other Half Lives” and “Wishful Thinking”), and country pop (“Above and Beyond (The Call of Love)” – a hit for Buck Owens), Stewart ranged over a variety of styles and emotions with incredible ease. His chart success was sporadic, but the brilliance of his recordings was anything but. These tracks were cherry-picked from his years with Jackpot and Challenge, and provide a terrific sampling of his early work. The son of sharecroppers, Dobie Gray launched two iconic singles in a career that spanned more than forty years, and included numerous lesser-charting highlights. This 1965 album for the Charger label was his breakthrough, capitalizing on the minor success he’d generated with 1963’s punchy “Look at Me” by launching Billy Page’s “The ‘In’ Crowd” onto both the pop and R&B charts. 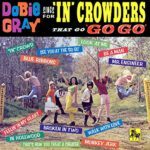 The album includes the lower-charting follow-up “See You at the ‘Go-Go’,” but is stocked with superb album sides written by Gray and selected from period songwriters. Jackie DeShannon’s “Blue Ribbons” stands out with its Brill Building feel, as does the autobiographical “In Hollywood,” the country-gospel waltz “That’s How You Treat a Cheater” and the euphoric “Feelin’ in My Heart.” Gray is equally at home with crooned pop, string-lined ballads and up-tempo R&B, lending the album a see-what-will-stick variety. Varese’s reissue augments the album’s original dozen tracks with the soulful non-LP single “Out on the Floor.” This is a sweet treat for lovers of mid-60s pop, soul and R&B. Aaron Neville’s 1966 album debut is both his most famous and his most obscure. 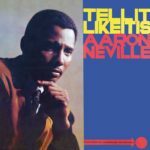 Famous, because the title track remains his most emblematic hit, and obscure because other than a low-profile 1990 reissue and abbreviated collections, Neville’s recordings for Par-Lo have never received the archival treatment they deserve. Varese’s vinyl reissue isn’t the complete Par-Lo recitation one might dream of, but it does return the original eleven tracks (including two swinging George Davis instrumentals) to vinyl with a pair of bonuses: a stereo version of “Tell It Like It Is” and the B-side “Those Three Words.” Neville’s tiny label couldn’t capitalize on the single’s meteoric success, and quickly fell into bankruptcy. Neville recorded a few singles for other labels, but it wasn’t until he united with his brothers in the 1970s, and guested with Linda Ronstadt at the end of the ‘80s that his profile really took off. Those who know Neville for his softer hits of the ‘90s may be surprised by his early New Orleans soul sides. Now who will put together the complete Imperial, Minit, Par-Lo, Bell and Safari collection? 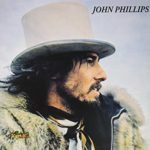 John Phillips – John, The Wolf King of L.A. Following the 1969 break-up of the Mamas & Papas, Phillips quickly began working on this 1970 solo release with many of the same ace Los Angeles studio musicians who’d backed his group. Though it didn’t gain much traction at the time – in part due to a reported lack of promotion – it’s country-rock sound remained fresh, and the album’s reputation has grown over the years. Though it had been reissued in the UK in 1994, its critical re-evaluation was spurred by Varese’s bonus-laden 2006 edition. Varese’s LP reissue puts the album back on vinyl for the first time in more than forty-five years, with the original ten-track lineup. For those accustomed to Phillip’s background singing in the Mama & Papas, his voice may be higher than you would have guessed and without the star quality of Cass Elliot or Denny Doherty. Still, he was an evocative singer, and his songs offer up a melancholy in keeping with the post-Altamont transition from the 1960s into the 1970s, and his personal transitions from group leader to solo artist and from husband to singleton. The album’s lone U.S. single, “Mississippi,” charted in the Top 40, but left album dwelling at the bottom of the Top 200. It’s a wonder this didn’t become a freeform radio staple alongside other FM favorites. But it’s not too late, and the full-sized cover gives you a place to clean your pot. Though Charlie Rich found his greatest fame as a Nashville country crooner for Epic, the soul of his music was born in Memphis. 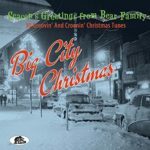 Rich’s smooth countrypolitan ballads topped the charts in the mid-70s, but it was in fact a departure from the jazz, blues, rockabilly, gospel and soul flavors of his earlier work. 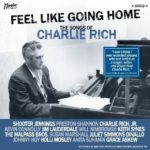 And it’s those earlier flavors that are revisited here, as thirteen artists – including Charlie Rich, Jr. – perform songs written and performed by Rich during his years as an artist, sideman and songwriter for Sun and Phillips International. In addition to the well-known “Lonely Weekends” (given a bluesy treatment by Jim Lauderdale) and “Who Will the Next Fool Be” (sung with sultry southern soul by Holli Mosley), the set includes non-charting singles and B-sides. Highlights include the Malpass Brothers’ crooned “Caught in the Middle,” Juliet Simmons Dinallo’s hot rockabilly “Whirlwind,” Johnny Hoy’s wailing “Don’t Put No Headstone On My Grave,” Keith Sykes’ snakebit “Everything I Do Is Wrong,” and Kevin Connolly’s heartfelt closing title song. 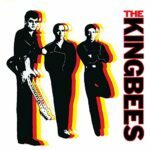 Omnivore’s bonus-laden reissue of the Kingbees debut album is now matched by a reissue of the band’s lesser-known follow-up. Originally released in 1981, the album stalled amid label problems and the band’s breakup. Lead bee Jamie James recorded four more tracks with a new rhythm section, and they’re included here as bonuses along with fresh liner notes, photos and a period press release. As on their debut, the band remained grounded in rockabilly, but never allowed themselves to become enslaved by retro fashion. 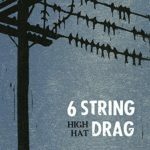 Their goal was to make “short, snappy and punchy rock ‘n’ roll songs,” and though James, bassist Michael Rummans and drummer Rex Roberts took inspiration from the stand-up style of rockabilly, they weren’t limited by it.